The Guardian reports that Agnès Chauveau, an executive from a journalism school in Paris, has been suspended for plagiarizing in columns that she published for the French-language web site Le Huffington Post. Mise à jour: Ce billet est la reprise d'une chronique faite et lue chaque dimanche sur France Culture. Certaines références manquaient dès la version orale. Elles ont été ajoutées ici dès que ces erreurs ont été signalées afin que les citations et les sources apparaissent plus clairement. The Institute of Political Sciences has launched an inquiry and suspended her during the inquiry. In French media, there are articles in Liberation (with the quotations in French: «J’oublie de citer certains papiers mais ce n’est jamais volontaire et je rectifierai chaque fois que ça pose problème.» Elle a aussi expliqué qu’elle n’avait «pas le temps de citer à l’antenne toutes [ses] sources».) and Le Monde. The medical colloquium for advanced medical students in Münster, Germany, invited me to speak about plagiarism there on Nov. 15, 2014. VroniPlag Wiki has identified 23 medical doctoral dissertations from the University of Münster to date that have extensive text parallels that could constitute plagiarism, including one thesis with plagiarism on 100% of the pages. This was widely reported on in the local media, so they decided in addition to just inviting me to open the seminar for all members of the university, and invited alumni and the general public to attend as well. Imagine 120-130 people in a typical medical school lecture theater with steep seating – on a Friday afternoon at 4 pm. I was glad there was so much interest in the topic, and that the dean of the medical school, Wilhelm Schmitz, participated actively in the discussion. 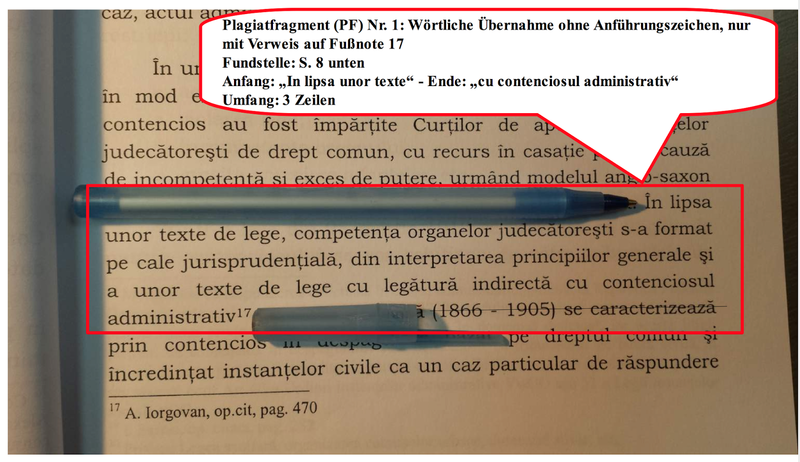 After introducing the topic and noting that Münster has had plagiarisms documented in their school of law (Jam - Psc - Tr - Mb), in the political science department (Ahe), and a book published by a retired computer science professor withdrawn for extensive plagiarism from the Wikipedia (FAZ article), I pointed out that Münster had a case of a duplicate dissertation in 2011. At that time the dean had spoken of a singularity. Now, with 23 additional dissertations documented, it is clear that this is a systemic problem, not 23 additional singularities. I spoke a bit about the history of doctoral degrees, drawing on the work of Ulrich Rasche (Geschichte der Promotion in absentia. Eine Studie zum Modernisierungsprozess der deutschen Universitäten im 18. und 19. Jahrhundert. In: R. D. Schwinges (Ed.) Examen, Titel, Promotionen – Akademisches und staatliches Qualifikationswesen vom 13. bis zum 21. Jahrhundert . Basel:Schwabe, pp. 275–352, 2007; Mommsen, Marx und May: Der Doktorhandel der deutschen Universitäten im 19. Jahrhundert und was wir daraus lernen sollten. In: Forschung & Lehre , No. 3, pp. 196–199, 2013) and then briefly presented Bernd Kramer's theory about why medical doctors in Germany are so in love with their titles. This has to do with the history of the field, Kramer postulates. Early on the clergy was also occupied with health matters. Pope Alexander III proclaimed in 1163 at the Council of Tours that the clergy was not to sully their hands with blood. Two professions sprang up to fill the void, the academic internal medicine scholars and the practical surgeons. More and more "specialists" and quacks sprang up touting their sure-fire cures for what ails you. The academic doctors were often personal physicians to the aristocracy, making house calls at the castle. Even though they were just a special sort of servant, they were learned doctors of medicine. When Otto von Bismarck introduced free health insurance in Germany at the end of the 19th century, Kramer theorizes, there was a sudden change. The free health care was only if you went to a medical doctor with a diploma, not any of the various quacks. The "unwashed workers" now came to the doctor's surgery, and the doctors needed something to make them feel special. So that was the doctoral degree, according to Kramer, that was a symbol held dear that needed to be obtained at all costs. For the general public, the difference between a quack and a real doctor was that the latter had a doctorate from a university. So it came to be taken as a sign of quality. Kramer goes on to note that the law profession soon picked this up as well. So the main reason for getting a doctorate in medicine in Germany was to have that symbol of quality on the nameplate, not an interest in research. The quality of many of the dissertations leaves much to be desired. Even the Wissenschaftsrat, normally a very reserved body, lashed out at the medical profession in 2004, but this was generally ignored. A discussion arose in 2009 when Ulrike Beisiegel, at that time the Ombud for good scientific practice for the German research funding organization and currently the president of the University of Göttingen, published an article (p. 488-9) about "Türschildforschung", research for the name plates. She met with a lot of resistance in the medical field, including a flaming defense (p. 582-583) of the current medical practice by Dieter Bitter-Suermann, the president of the medical school in Hanover and the chair of the German medical school association. He focused there on the quantity of dissertations accepted and stressed how important it was that students start to understand research as early as possible. I then gave some examples of the plagiarism in Münster. In my experience, people will talk about cases of plagiarism only on the basis of what they have read in newspapers, they seldom make the effort to actually look at the documentation that is available online. This was shocking for the audience, as it was utterly clear that what they were seeing was unacceptable. When I got to the data falsification that was found by accident, a sort of of "collateral damage" while documenting plagiarism, the anger in the audience was palpable. Text is often seen as not so important, but making up data is a major violation of research ethics. The closing of my talk was about possibilities for changing the situation, moving to avoidance of plagiarism and inculcation of good scientific practice. The medical school in Münster is already moving to include obligatory courses in scientific writing and the scientific process for their medical students, and they are examining all the dissertations accepted in the past few years with plagiarism software, although I explained to them that due to false negatives they will not find all the plagiarisms. Dean Schmitz noted that it was indeed a lot of hard work to interpret the results, but that it was necessary to take care of this now and then to see how to avoid plagiarisms being accepted in the future. He then opened the floor for questions, and a lively, hour-long discussion ensued. We touched on questions of the role of the advisors, of how to properly reuse descriptions of methods, on the question of having a dual doctorate program, MDs for all, PhDs for those interested in research. Doctoral candidates asked about how to go about avoiding plagiarism, what they needed to reference, and also wondering who these VroniPlag Wiki people are, anyway. An important point came up in connection with the scandal over plagiarism in habilitations in Freiburg that recently moved Handelsblatt to print the front page headline "Dr. med. plagiat". I noted that Münster does not oblige their researchers to print their habilitations and they do not even have to deposit a copy in the library. I had tried unsuccessfully to obtain a copy of one that was referenced in a dissertation. The dean was surprised - he thought that they, too, had to be published. He promised to look into the regulations for habilitations and to insist on them, too, being publicly available. Even it is an accumulated habilitation with a number of published journal articles bound together with an explaining text, it has to be possible for any researcher to see which journal articles were used. On a final note, I feel that the universities need to be utterly transparent about how they deal with cases of plagiarism. The informer and the accused need to be heard by the investigating committee. They need to be informed about how the investigation is proceeding, and that needs to be timely. It is inacceptable for a plagiarism investigation to take more than a year (some are currently entering their fourth year, probably because the universities in question hoped that the problem would go away if they ignored it). Especially when the plagiarism documentation was raised publicly, as is the case both in printed book reviews as well as online documentations of text parallels, the university needs to publicly announce the results. Since the doctorate was granted in public, it must also be publicly announced when it has been rescinded. That means naming the person. If they published a plagiarism, they have to accept the consequences. If the degree is kept and the grade lowered, or an expression of concern written, this needs to made public as well. The text parallels are visible to all, as both dissertation and source are published. The reasons why this is acceptable need to made clear: perhaps the plagiarism was the other way around, the supposed source may have been published first. If the reason for not rescinding a doctorate is that the advisor told the doctoral student to do so, all the more reason for it to be made clear that this advisor has problems with good scientific practice. Science does not thrive in secrecy. The introduction of lawyers into the process of determining bad scientific process does not help, either. The publisher of the plagiarism should respond to the accusations, explaining why the texts are the way they are, not send lawyers to find possible problems in the process. The university grants doctorates, and the university can take them away again. And the government should quit putting the doctorate on identification papers – that alone would do a world of good. The Sydney Morning Herald and Western Australia Today are reporting on a Sydney company called MyMaster that is offering ghostwriting services to Chinese students enrolled in Australian universities. I've collected the links and the first paragraphs of the articles here. It is excellent to see such widespread reporting on academic misconduct. "Western Australia's Curtin University has been caught up in a cash-for-results scandal involving thousands of students who paid a Sydney company up to $1000 each to write essays and assignments for them, as well as sit online tests." The article has links to other articles on grade changing scandals. "Thousands of students have enlisted a Sydney company to write essays and assignments for them as well as sit online tests, paying up to $1000 for the service. Their desire to succeed threatens the credibility and international standing of some of our most prestigious institutions." "Students who pay essay writing services to complete their university assignments are not only breaching university plagiarism protocols but could also be charged with fraudulent conduct under NSW [New South Wales] legislation, legal experts say." "At the helm of the company embroiled in a large-scale academic cheating scandal is a Chinese-born businesswoman named Yingying Dou. The enterprising 30-year-old, who also goes by 'Serena', has used her accounting degree to build a lucrative ghostwriting service, called MyMaster, aimed at Chinese international students." "Tutors and students at Yingcredible Tutoring, the coaching college run by the mastermind of essay-selling website MyMaster, Yingying Dou, have spoken of the widespread practice of international students paying for university essays as they struggle with language barriers." "NSW universities are in damage control following a Fairfax Media investigation that revealed hundreds of students across the state were engaging the services of an online essay writing business. On Wednesday, the Herald exposed an online business called MyMaster, run out of Sydney's Chinatown, that had provided more than 900 assignments to students from almost every university in NSW, turning over at least $160,000 in 2014." The site has now been taken offline. Thanks to Sven for spotting these articles! Research misconduct in Australia: The article in Mark Israel's Blog "The Conversation" lists a number of cases of research misconduct that have been made public in Australia, including a recent one at the University of Queensland. "Bruce Murdoch and Caroline Barwood resigned from the University of Queensland in 2013 after a whistleblower claimed that they had not undertaken an experiment on Parkinson’s, despite reporting results in various journals. [...] The university failed to find any evidence that the experiment had been conducted. Instead, it discovered duplicate publication, statistical error and misattribution of authorship." The new president of the German "Federation of Expellees" organization, (Bund der Vertriebenen), Bernd Fabritius, is originally from Romania (he belongs to the German minority there) and did his doctorate in Hermannstadt/Sibiu and in Tübingen. A fascinating 54-page documentation of text parallels and other problems with this thesis was published recently online. The text was photographed using pens to mark the text and then boxes and explaining text were added to the pictures. A discussion of the documentation (in German) can be found in the Blog Erbloggtes. Dr. med. plagiat: The German newspaper Handelsblatt has an extensive report on the plagiarism scandal in medicine at the University of Freiburg, the University of Münster and the Charité. There is a call for papers out (abstract submission deadline: November 16, 2014) for an international conference on plagiarism at the Mendel University in Brno, Czech Republic 10 - 12 June 2015 "PLAGIARISM ACROSS EUROPE AND BEYOND" (http://plagiarism.cz/ Disclosure: I am on the program committee). I found an IFQ report (in German) from 2006 on the history of doctorates in Germany with some interesting statistics on the prevalence of doctorates in various fields. It seems that Elsevier has been charging 30$ for copies of book chapters that consist only of one page containing the wording "This page intentionally left blank". A tongue-in-cheek systematic review has been published, and indeed, if one googles "This page is intentionally left blank" together with "site:http://www.sciencedirect.com" there are 55 hits across a wide spectrum of fields. Apparently, the automatic publishing system has trouble with blank pages, or else the blank pages were not caught during the rigorous peer review. 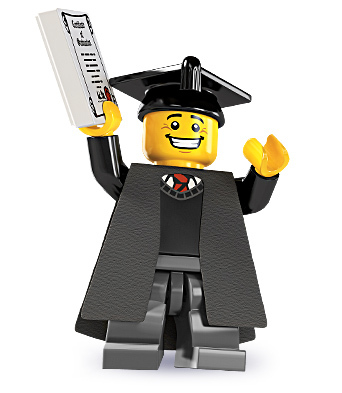 Widely off topic: There is even a Lego figurine for a university graduate in a cap & gown.